Well after about a 2 year break from business blogging and redoing my blog it is TIME to get back to it! I'm ready to start posting all of the precious parties that I have been so fortunate to help all of these creative mamas with. I will also be sharing product photo pics as well as other fun tidbits about anything and everything! I love reading other blogs and ready to get mine back up and running! 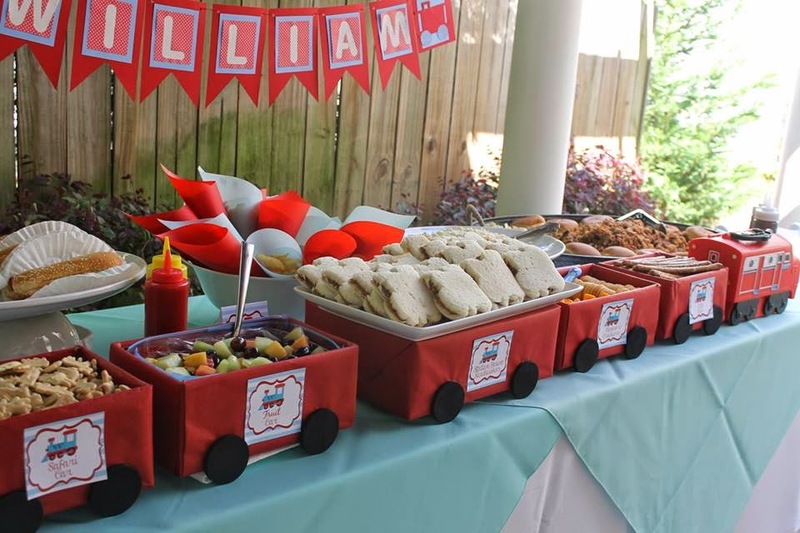 Sooo.. this first post features sweet little William's 2nd birthday. My sweet sorority sister and friend Amanda is quite the party planner and all of her parties are TO.DIE.FOR.. I mean she thinks of everything and I am so fortunate to have helped her with all of her paper party goods! She has a fabulous back yard and has now had both of William's birthday parties there. He is a MAY baby and thank goodness the weather is always nice and the rain holds off. 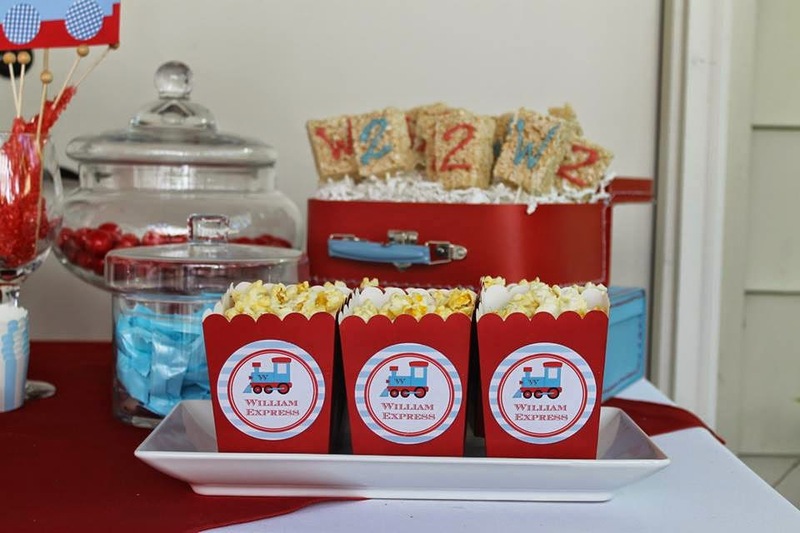 The theme for this year's party was CHOO CHOO William is TWO. A precious train theme and Amanda made the adorable train to put food and snacks in. She decided on sweet baby blue and red for her colors for the train theme. Here are some darling pics she shared with me. Napkin Rings and she got milk bottles and added these adorable train weatherproof labels to them. This is my fave of all. Popcorn boxes with labels but LOOK AT THAT LUGGAGE!! How cute stuffed with yummy Rice Krispie treats!! And the best FOR last. The train she made for food. She worked sooo hard on this and her hard work paid off Crafty little mama. WOW!! She added these food labels that matched the other paper goods. 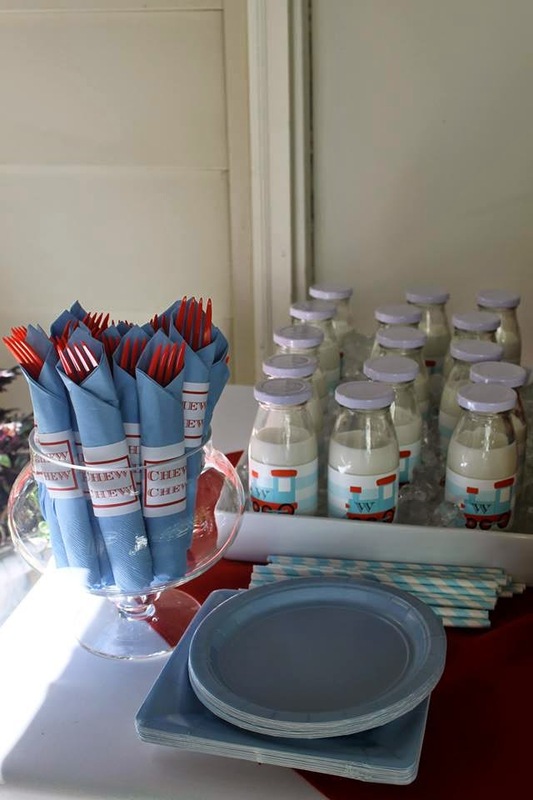 Thanks for sharing your party, Amanda! 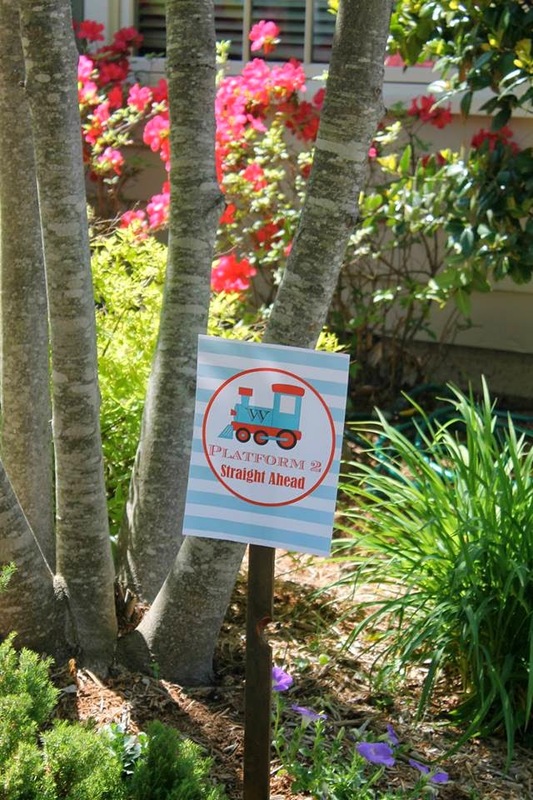 Need help with your next Choo Choo Party, contact Emily@MissEmPrints.com for darling paper goods! CHOO CHOO WILLIAM IS TWO!! Sign up to get blog post updates sent to your email!